The event was held at the Houston International Seafarers’ Center, which was divided into three work stations: the first was an outdoor space where a cooking team seasoned and fried turkeys; the second area was where other food items were organized and separated; and the final area was a craft station where volunteers created Thanksgiving cards and festive signage for each box in which meals would be delivered. Port Houston worked with Neighbors in Action, a local nonprofit, and nearby Port Houston Elementary School to identify 20 families needing assistance during Thanksgiving. Each of the families selected received a large package with a turkey, sides, dessert and all the Thanksgiving trimmings. Once the meal packages were complete, volunteers delivered everything directly to each of the selected families’ homes. 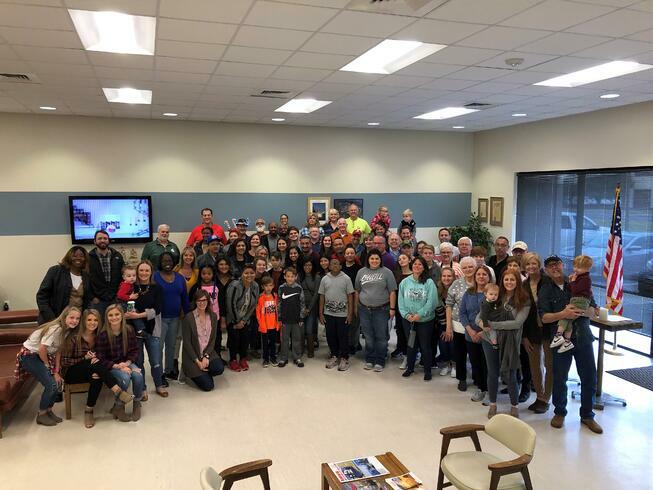 “Every box left for delivery with even more food items than we originally planned, which is a true testament to the generosity of our Port Houston family,” added Herbst.